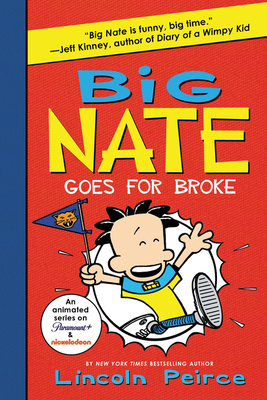 Big Nate is going for broke in the fourth novel in the hilarious New York Times bestselling series by Lincoln Peirce! This time, Nate and his friends are in the Ultimate Snowdown—a wintry snow-sculpture competition against the bullies from Jefferson Middle School, who beat P.S. 38 at EVERYTHING! But as the rivalry between P.S. 38 and Jefferson Middle School escalates, will Nate be able to save the day? And finally win against his biggest rivals? This hilarious, comic-strip adventure is perfect for reluctant readers and fans of Jeff Kinney and Raina Telgemeier. Includes a sneak peek of Big Nate Flips Out!